A database is a shared collection of related data used to support the activities of a particular organization. A database can be viewed as a repository of data that is defined once and then accessed by various users as shown in Figure 2.1. Figure 2.1. A database is a repository of data. It is a representation of some aspect of the real world or a collection of data elements (facts) representing real-world information. A database is logical, coherent and internally consistent. A database is designed, built and populated with data for a specific purpose. Each data item is stored in a field. A combination of fields makes up a table. For example, each field in an employee table contains data about an individual employee. A database can contain many tables. 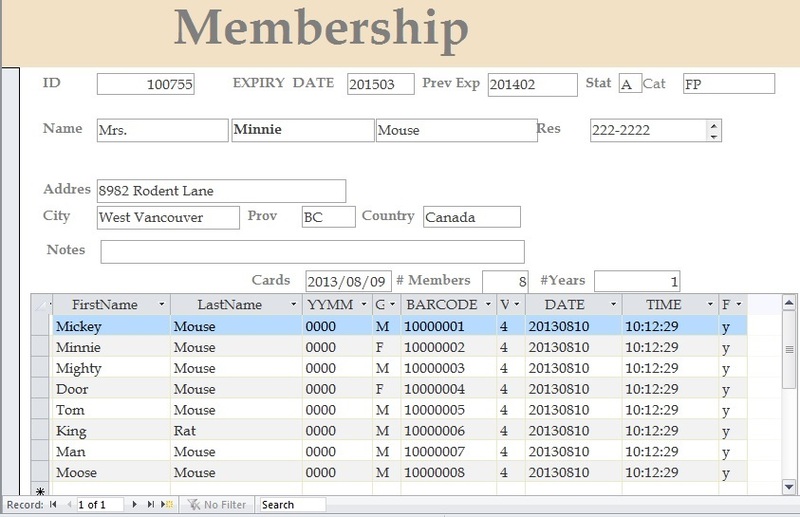 For example, a membership system may contain an address table and an individual member table as shown in Figure 2.2. Members of Science World are individuals, group homes, businesses and corporations who have an active membership to Science World. Memberships can be purchased for a one- or two-year period, and then renewed for another one- or two-year period. Figure 2.2. Membership system at Science World by N. Eng. In Figure 2.2, Minnie Mouse renewed the family membership with Science World. Everyone with membership ID#100755 lives at 8932 Rodent Lane. The individual members are Mickey Mouse, Minnie Mouse, Mighty Mouse, Door Mouse, Tom Mouse, King Rat, Man Mouse and Moose Mouse. With the database approach, we can have the traditional banking system as shown in Figure 2.3. 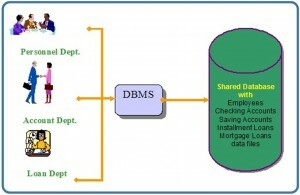 In this bank example, a DBMS is used by the Personnel Department, the Account Department and the Loan Department to access the shared corporate database. Figure 2.3. 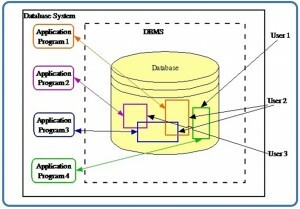 A bank database management system (DBMS). What are the properties of a DBMS? Provide three examples of a real-world database (e.g., the library contains a database of books). Chapter 2 Fundamental Concepts by Adrienne Watt & Nelson Eng is licensed under a Creative Commons Attribution 4.0 International License, except where otherwise noted.